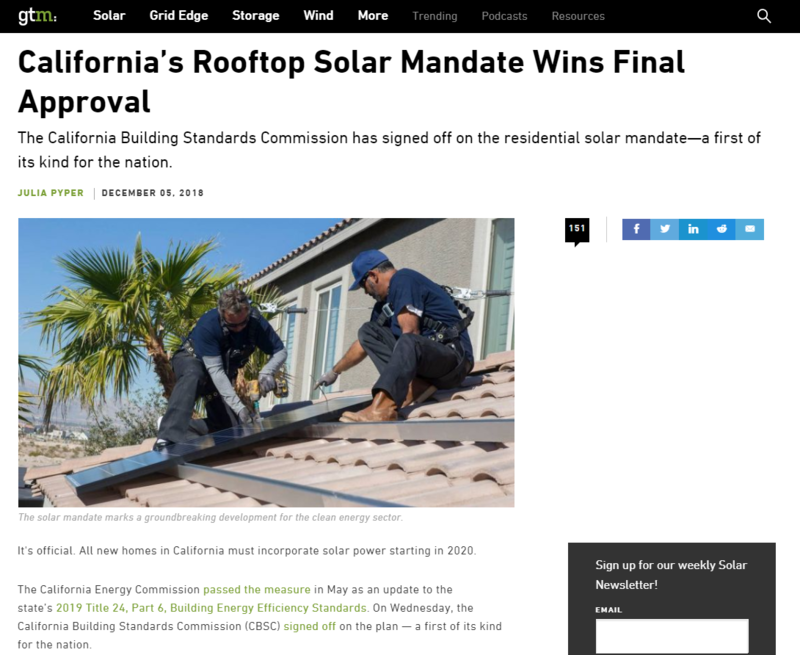 Our team is very excited about the new solar mandate legislation but at the same time, we understand the concerns that many real estate developers and contractors may have. Designing and developing net-zero properties adds a whole new complexity to residential projects that many builders are not yet prepared for. The good news is that our team is here to help residential real estate developers, builders, and contractors with establishing the best financing and business models for the solar portion of their projects, along with establishing the best priced and qualified partners for the project. At the end of the day, by increasing the energy efficiency and energy generation of new homes, it will increase the sale price of the properties while decreasing the operating costs for the end user. By driving value to both the builder and the homeowner, everyone wins with this new legislation.